On this page you will find a list of Push Gaming Casinos, updated for 2018, and including only fully licensed UK slot sites where you can play the very best Push Gaming slots, including favourites like Fat Rabbit and Tiki Tumble. For more information on each casino click the Read More option where you’ll find a full review with welcome bonus, game and cashier information. It’s an exciting time to be a slots fan. Recent years have seen breakthroughs for many young software studios producing exciting new games and challenging the monopoly of NetEnt, Microgaming and the rest. One such company is Push Gaming. Push formed in London in 2010. They began their journey as a small game producer, converting land-based games to the online environment. 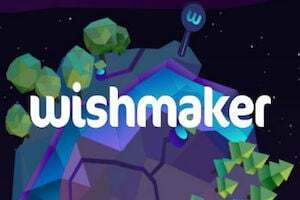 Like all good game studios, they quickly realised the future was in mobile, and in 2013 Push began exclusively developing games for the HTML5 platform that would make their games work on across all devices. An exclusive deal to publish games for Unibet quickly followed, and their first HTML 5 only game was released in 2015. Since then, of course, Push Gaming have partnered up with many operators to publish games across all the casinos listed on this page. In 2018 Push produced their first really high variance slot, a game called Tiki Tumble. It immediately gained an excited following amongst the slot streaming community who love its potential for massive payouts in the free spins round, brought on by a clever Nudging Wilds feature which combines with extra spins and multipliers to shift the payout potential up a gear. Fat Rabbit, another high variance title, has since followed and has helped the Push reputation to grow further. Once again it’s he bonus round that sees the opportunity for big wins here – the rabbit in the title chomps his way through carrots that land on the reels, and in doing so increases in size to a 2×2 wild, a 3×3 wild, a 4×4 wild, and just possibly, a 5×5 full screen wild for the top payout! Since these two games helped establish Push Gaming’s position as a force to be reckoned with in the UK slots market, further titles have been released, including the summer-themed Wild Swarm, the music-themed Turn It Up! and the soon-to-be-classic, Viking Clash. We expect to see many more exciting games from Push in the coming months, so keep your eyes out for news on The Slot Buzz.